Bihar TET stands for Bihar Teacher Eligibility Test which is conducted by BSEB (Bihar School Examination Board). It is conducted for the recruitment of primary or upper-primary school teachers in govt., private & public schools in the state. Bihar TET consists of two levels i.e. Paper-1 & Paper-2 for the primary & upper-primary section. Exam will be held in offline mode for both primary & upper-primary. Paper-I & II both consist of 150 marks respectively & students will be getting 2 hrs. & 30 mins to write the exam. Eligible Candidates are requested to apply for the exam only after reading all the guidelines mentioned on the official website. 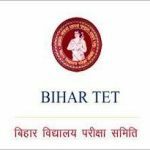 Bihar TET Online Application Form starts from 1st week of April 2019. 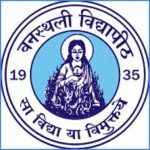 Bihar TET Online Application form last date is last week of April 2019. There is no other mode to apply for Bihar TET Exam. 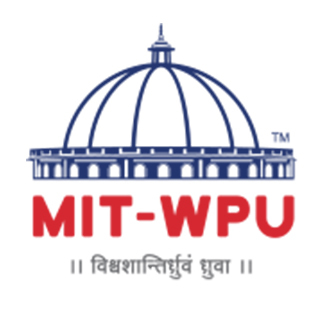 Bihar TET Application fee starts from 1st week of April 2019. Bihar TET Online Application fee the last date is last week of April 2019. Bihar TET Offline Application fee in form of E-challan through SBI Bank can be paid through E-challan till 1st week of May 2019. Candidates must have passed in 12th with minimum 50% marks. Candidate with Urdu/Sanskrit/Bengali language must have 50% marks from any recognized board or institute. Candidates should be 10th passed with minimum 45% marks. 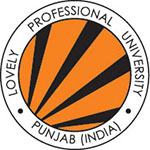 Candidates with BA/B.sc degree with 50% marks are also eligible. Candidates appearing in Diploma in Education or Diploma in Special Elementary or Bachelor of Elementary Education are also allowed to appear for the exam. Candidates passed in BA/B.sc with minimum 50% marks. Candidates passed in B.Ed with 50% marks. Candidates passed in B.L.Ed with 50% marks. Language-I Teaching Learning Materials, Principles of Teaching English, Unseen Prose Passage Comprehensive & Continuous Evaluation, Development of Language Skills, Teaching, Learning Materials, Unseen Prose Passage etc. EVS Water, Clothes dresses & their care, Natural Resources, Our Punjab, Solar System, Basic, needs, Food, resources and care, Our Surroundings, Group songs, Health, good habits & personal hygiene, Living and nonliving, Looking at the trees, plants & animals, Parts of plants, etc. Candidates can download their Exam Admit Card from official website on the 3rd week of July 2019. Admit card will be available before a week prior to the Exam. Candidates must not forget their Admit card on the day of an exam, otherwise, he/she shall not be allowed to seat in the exam. Candidates who clear the Entrance Exam will be eligible for Counselling on the basis of Merit List. Participants selection process will be done based on the performance in the Entrance Exam conducted by BSEB. Participants also have to go for Counselling on the basis of Merit List. All qualified Applicants will have Seven years of a validity period for BSEB TET certificate from the date of result announcement for all category candidates (consisting both reserved & unreserved category). If you have any other Questions related to Bihar TET 2019, you may ask your Queries by commenting below. Can Bachelor of fine art can apply for this vacancy. I am a serving soldier and completing 28 years of military service as personal assistant (PA). My date of birth is 15 April 1970. Am I eligible to apply for BTET 2019? I am graduate and BA,b.ed.please confirm.